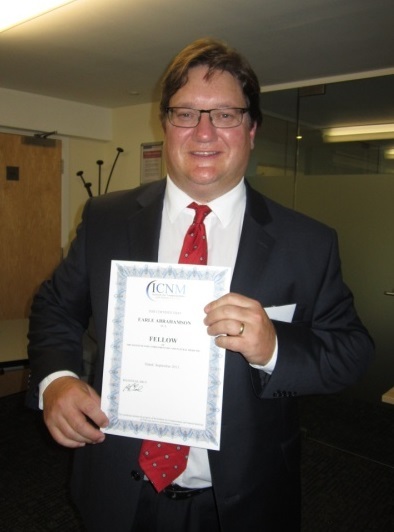 I was recently awarded a fellowship by the Institute of Complementary and Natural Medicine (ICNM). The fellowship was in recognition of my sustained contribution to complementary medicine, teaching, scholarship and practice. After receiving the fellowship I thought hard about the word recognition and its importance within the compendium of complementary medicine and therapeutic practice. Recognition serves multiple purposes, as it allows one to acknowledge important relationships and work towards enhancement of goals and objectives. For me personally, recognition affords me the opportunity to appreciate the client-therapist relationship. This is a unique interpersonal relationship centred around legal, moral, and professional considerations. In recognising the client’s role, the therapist learns to respect the dynamics of therapy and moves towards an educational model of explanation, therapy choice, expectations and after care. These components are crucial for professional practice and further allow the client to understand that the treatment is provided within a professional framework. In dissecting the conceptual undertones of recognition as a construct, I realised that the questions I ask the client reflect upon my ability to use my knowledge and select the skills necessary for treatment. I further learned that recognition is more than a word, construct, or concept it is a lived practice wherein therapist and client constantly work together to understand, plan, and deliver treatment. Knowing how to apply a skill is distinctly different to recognising the need for application. Hands-On Training provides unique workshops wherein these very ideas are discussed, explored and explained through interaction and network forums. In conclusion, it is not being recognised that is important, it is how we recognise what is important that becomes the key to successful practice. I have learned that professional conduct, scholarship, respect and professional development are areas of my practice that often lie beyond recognition, but rest within a bed of recognising interpersonal space and learning how to value it. Back in March of this year I met an extraordinary man. A very straightforward and modest man – but one with great vision and determination. His name is Keith Hunt. I asked Keith to give a talk to fellow MTI practitioners about massage for the elderly and those living with dementia, to complement a session about giving massage to people with physical disabilities. He instantly said yes, and added that he also wanted to cover “massage in a hospital environment’. This was fascinating stuff, and something I knew nothing about. 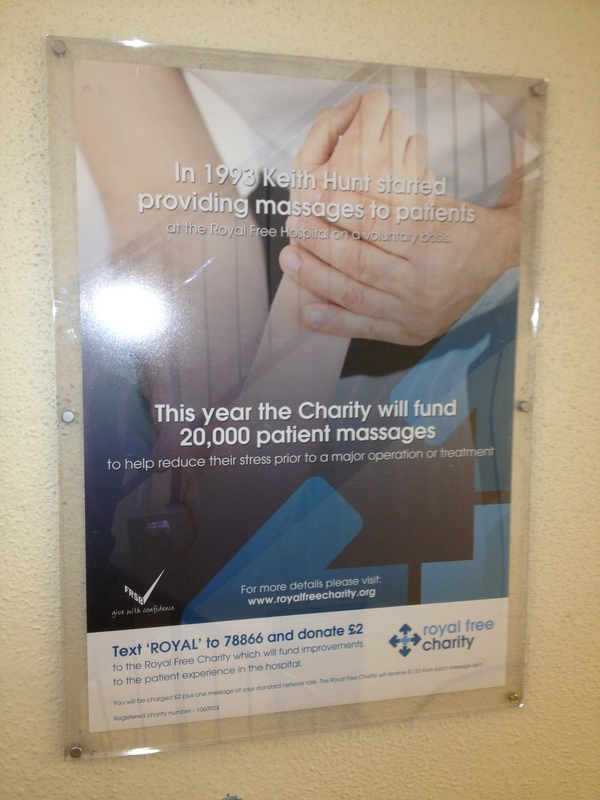 Over a 20 year period Keith had gently developed a working relationship with The Royal Free Hospital in Hampstead, North London – raising awareness of the value of massage as a complementary therapy, working effectively alongside surgical and medical procedures. As a consequence, the hospital now boasts its own Complementary Therapy department – the only one in the UK, I believe. Keith, supported by a handful of part-time massage therapists, are all actually paid – funded by the Royal Free Charity; the rest of the team is made up of volunteers – now including myself. As an aside, I realised some years ago whilst doing support work at another health agency that the NHS would collapse without the thousands of volunteers working within its environs. Organisations such as Child line, Age UK, Scope, Diabetes UK, Action aid, The Samaritans and many, many more are almost entirely staffed by volunteers. In the last 12 months, Keith and his team have given over 21,000 free massage treatments!!! The massage itself is not standard as you would offer a more active, physically healthier person. It is essentially very gentle, very slow and rhythmical – providing relief and comfort rather than ironing out knots. The words “deep tissue” simply don’t come into it. Favoured massages are lower legs and feet – a wonderful antidote for those lying in bed for days on end and taking variable cocktails of medication, often resulting in significantly reduced mobility and excessive water retention; which can lead to oedema. Anything deeper could be counter-productive to each patient’s healing process. 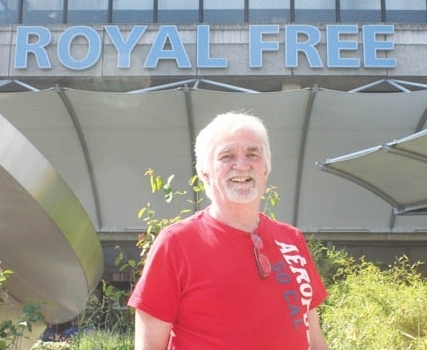 As a therapist working predominantly with fitter and more mobile clients, I have found my time at The Royal Free humbling. It is a pleasure to give massage to such an array of people, and to be the occasional bright moment in the day for so many of those confined to their beds. Quite stunning is the architecture of the velodrome, nicknamed the “giant pringle” – stunning not only in terms of design but more importantly as a working environment. 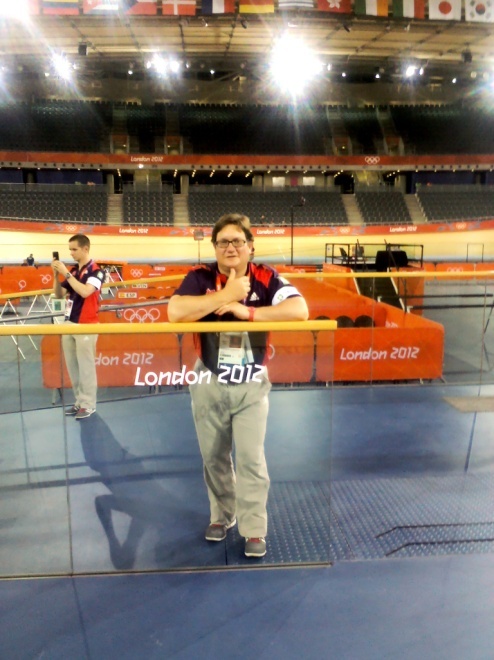 I was most fortunate to be invited to work as a sports massage therapist at the velodrome during the London 2012 Olympic Games. For me personally, sports massage embodies a way of life, a method of engaging with others to refine and develop better skills. During my duties at the velodrome I learned how to work within a multidisciplinary team by considering both the challenges and opportunities. What I quickly realised is that knowing one’s limits and being smart about therapeutic application tends to generate success within a pressurised working environment. I was positioned on the field of play (i.e. at the side of the track) and needed to appreciate and recognise the duties associated with this unique position. I quickly learned emergency care procedures and practised these with colleagues to perfect operations. At the Olympics, track side treatment becomes a focal point for the world media and incorrect procedures are often the difference between success and failure on a global scale. I have many years of experience as a therapist but have rarely learned the cardinal work skills which are fundamental to our profession. I provided mentorship to many new therapists at the Games and found the experience to be refreshing and rewarding. My greatest teachers have been those I have taught and mentored. The majority of courses tend to teach content in the absence of application yet it is the application and knowing how that generates respect within this unique field of practice. I have pondered the relationship between key anatomical components but yet tended to treat each in isolation. During my work at the Olympics I mastered the interrelationships between major joints, and worked with a diverse range of therapists and practitioners to consider mechanical advantages and potential injuries with incorrect biomechanical postures and positions. As a therapist, there is a need to share knowledge by exchanging ideas and developing a collective network of expertise. Hands-on Training has been established to provide tuition and support across a broad range of industry relevant active learning programmes. We have taken the time to work with therapists and listen to their concerns. By working on major events and learning with colleagues, I now have a wealth of information that would be wasted if not shared with the therapy communities. Our new clinical workshops are designed to deal with working issues and update participants on cardinal principles and practices. Going for gold is more than simply crossing the finishing line first – it is about knowing how to be smart about training and using skills to surpass those of a colleague. It is about a continual cycle of learning and developing and knowing how, not necessarily what, to do in practice. My take home message – Never lose track of your philosophy of practice and constantly strive to develop new ways of thinking and doing. Earle Abrahamson and Jennie Parke Matheson invite you to join them for a series of individual clinical workshops. Earle was recently awarded the coveted ICNM prize for outstanding contribution to complementary medicine. He wishes to continue his work by sharing his Olympic and therapeutic experiences with the greater complementary medicine audiences. I have to admit I’m not a huge sports fan, and I can’t stand football – but when it comes to tennis, athletics & swimming I’m glued to the TV. I’ve tried my best to get tickets for various Olympic events – but whenever it comes to the crunch the website tells me it “cannot locate” what I want. Heard that one before? So I’m resigned to enjoying the event from the comfort of my sofa. Apart from Monday when I’m off to the Equestrian Eventing – my sister having had more luck than me and successfully snagged a pair of tickets. Of course on Monday it’s forecast to rain – so please all wish for a high pressure system to race across to the UK just in time. Out of adversity comes joy. A bet placed in 2003 by Nick Newlife, from Oxfordshire, made a wager of £1,520, at odds of 66/1, that Roger Federer would win seven Wimbledon titles by 2019. Mr Newlife died in 2009 but left the betting slip to Oxfam in his will. Federer’s defeat of Andy Murray in the Wimbledon final means the charity will now collect a payout from William Hill of £101,840. Who’d have thought it? We’re in the second week of Wimbledon and my 3 new clients this week have all presented with shoulder injuries. Mostly brought on by playing tennis without stretching or warming up properly first. Having wonderful sports so easily accessible to watch – in full Technicolor – is fabulous, but it triggers people to rush out and play them without thinking first what impact their actions might have. To help prevent such injuries, any player should stretch properly and warm up for at least 10 minutes before starting a vigorous game. However, if they don’t, massage is a great way to alleviate the pain and get those muscles back on the road to recovery. Much to my chagrin, the 3rd & final episode of “The Men who made us Fat” series – exploring “healthy foods” – was postponed because of the tennis and is now scheduled for transmission on Thursday 12th July. But, to keep us waiting with bated breath, the BBC have released a short clip. Of course, we know now that this programme will debunk the myth of healthy foods – or rather put us straight. I’ve found it a fascinating series, if a little repetitive, and has made me re-think what I eat – and how often. In Britain the sales of foods marketed as “healthy” or “healthier” are rocketing. But what if the very food sold to us as healthier is making us fat? Pierre Chandon, a visiting Professor at Harvard Business School, has done ground breaking research into how fattening foods are marketed as healthy. Chandon has discovered a ‘Health Halo’ effect whereby consumers often just assume something marketed as healthy is less calorific, and wrongly think they can eat more of it without getting fat. He believes the food industry exploits the financial opportunities this phenomenon represents and warns, ‘The paradox of low fat food and high fat people is not going to go away. I was expecting to write about the final episode of “The Men who made us Fat” – but a phenomenal tennis battle that saw Nadal knocked out of Wimbledon took over BBC2 yesterday evening. Watching those two super fit 26 year old athletes’ pound a ball back & forth at each other for over 4 hours raised questions about how muscles cope with such extreme use. With difficulty, however fit you are. You are tackling psychological challenges as well as physical, and the mind is focussed on the strategy. The body just has to get on with it. If it doesn’t deliver – you lose the game. These players take huge care of themselves – their body is their lottery ticket. They have a retinue of physios and massage therapists to look after their every need. The extreme nature of the game means the body is pushed to its limits, and needs speedy and effective recovery to enable them to play again. So what did they do between warming up and the match – have a massage. What did they do during the half hour break whilst the roof on Centre Court was closed – have a massage. And what did they do after the match, either to celebrate or wonder dumbfoundedly what the heck just happened – have a massage! You may not be an extreme sportsman – but whatever you do, your muscles can be pushed to their limits. There is a simple solution to help remedy those aches and pains experienced and prevent further damage – HAVE A MASSAGE! Having a massage from a loved one is great, but it’s tough to compete with the hands of a professional. A good massage therapist can make you feel like a new person. And now research suggests massage can ease insomnia, boost immunity, prevent PMS – and more. Maybe that’s why some hospitals are making it a standard therapy. Researchers have found that massage is often more successful than treatments such as osteopathy & acupuncture and is especially effective for aches like lower-back pain. It’s not clear why, but several studies show massage reduces levels of the stress hormone cortisol while boosting the feel-good hormones serotonin and dopamine. Those changes slow your heart rate, reduce blood pressure, and block your nervous system’s pain receptors. Massage also increases blood flow to the muscles, which may help them heal. It has been established unequivocally that larger meal portions, grazing between meals and eating fast foods full of fat, sugar and salt automatically leads to weight gain. Massage, to release muscle tension and help promote greater mobility is a great way to begin to counteract the effects of over eating. Increased mobility won’t necessarily knock the pounds off, but it will help stimulate the desire to eat fresh, energising foods – such as fruit, vegetables and salads. Which will!